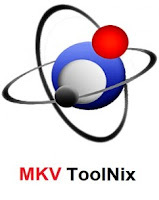 MKVToolNix recently released a new version 12.0.0 and users are recommended to upgrade to this version because of bugfixes. In this tutorial, I will show you how to install the latest version of MKVToolNix 12.0.0 in Ubuntu 16.04 and higher versions. MKVToolNix GUI: the key combination Ctrl+Shift+Space will now toggle the selection of the current item in all tree views where multiple selectionsare allowed. MKVToolNix GUI: chapter editor: added the extension `*.cue` (for cue sheet-files) to the "open chapter file" dialog. mkvmerge: cue sheet parser: if the cue sheet contains a non-empty `TITLE`entry and if no other segment title has been set yet, then the segment title will be set to the cue sheet's `TITLE` value. mkvmerge, MKVToolNix GUI (multiplexer): added an option `--no-date` that prevents the "date" field from being written to the segment information headers. mkvpropedit, MKVToolNix GUI: header editor: added support for editing the "date" segment information field.